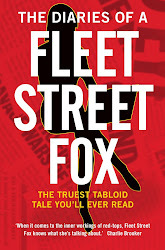 fleet street fox: Oh! What a lovely war. IT'S rare you can think of anything nice to say about a war, but the good thing about the conflict in Mali is at least the French are winning something. They've had a hell of a time of it, militarily speaking, and the fact they've asked for our help again should be magnanimously overlooked for the sake of letting Pierre chalk up a win. And he is. "We've taken Gao!" they let it be known. "Nous avons libéré Timbuktu!" they announced. Today they've plonked their helicopters in the last major town left, and it was time for the party poppers and a particularly fine cheese. Well done chaps, we're all very happy for you, especially as you did it after we loaned you some knackered transport planes we found rusting at the back of the hangar and a cross-channel ferry. There's no duty free in Mali, you know. But alors! There's a problem with this suspiciously rapid and clean military victory, Pierre me old china, which is that you haven't found anybody to fight with. As French and Malian forces swept through the country, town after town was declared to have "fallen" to them by journalists swept along in their wake and not one of whom seems to have witnessed anything resembling an actual exchange of gunfire, or even some harsh words. In each town, the insurgents described variously as 'Islamists' and 'jihadists' had disappeared before the French wandered in. When they 'liberated' the entirely undefended airport at Timbuktu, a disappointed-sounding French colonel said: "There were no shots fired, no blood spilt. Not even passive resistance with traps." Which, as wars go, probably makes it the nicest one there's ever been. I'm just surprised the French still can't find a beardy bloke to surrender to. This is the point where I should probably make a cheap joke about the smell of garlic clearing all before it, but I won't. Because the truth about what's going on in Mali is darker and nastier than many of us are giving it credit for. Those beardy blokes with guns don't give a toss for garlic, the French, or slightly-rubbish British ferries. They're highly-motivated, indoctrinated, under-educated and utterly determined about introducing totalitarian rule, and many of them are thought to be veterans of conflicts in Afghanistan, Syria and Libya. They have, in various countries and as a body of people who believe in one thing, been able to use 20-year-old rifles and home-made explosives to fight the greatest and most technologically-developed military might ever amassed, and whenever it looks like they're going to lose they can melt away before resurfacing somewhere else. Whether you call them the Taliban or Al Qaeda or jihadis, they don't carry a party membership card, they don't pay subs, and it's impossible to tell them apart from the farmers and peasants they come from and can disappear among. A few weeks ago they flexed their muscles, and reached down through Mali to seriously threaten the government by trying to take over the former French colony as an Islamic state. Wary of what happened in Afghanistan the last time this happened, the West decided to push them back out again. And that bit has probably worked, because the people who until recently were lopping off arms and heads for the slightest thing, terrorising women and children, and beating up dissenters have scooted off into the empty desert. Perhaps they've got a hidey hole in Niger, or Algeria, and perhaps they've built a Bond villain-style lair under the dunes with air con and over-large computers. Who knows - they've gone somewhere else, for now. Which is why neighbouring countries are suddenly getting involved. US surveillance drones are being stationed in Niger, other African nations are sending soldiers under the auspices of the United Nations, and 330 British troops are being stationed in Mali, Senegal, Ghana and Nigeria. Whatever politicians say about mission creep this is not a conflict in one country any more, and not just because the situation in Mali managed to spark a hostage crisis in Algeria. This is one third of Africa getting involved, the second most-populous continent on Earth, and home to a quarter of the world's Muslims. The worry today may be about the states in west Africa, but there are similar issues stretching right across north and east Africa as well, covering Libya, Egypt, Somalia and stretching into the Middle East. If things get sticky here - if one state starts fighting over religious niceties with the next one, and remember many of them are young and volatile nations to start with - it will make Afghanistan look like a nice game of tennis. Added to which, the whole world will get sucked in. China has massive economic interests in Africa whose natural resources are vital to its booming economy, as does Russia. If they start taking sides then America will do the same, and Britain will get involved for the sake of its former colonies. It would be, in short, messy. And you won't see the French for dust. But this is nothing new - this has all happened, in slightly different ways, before. Eighty years ago today, in 1933, Adolf Hitler became Chancellor of Germany. He promoted and oversaw a totalitarian state which predicated upon people's poverty, resentments and fear in an attempt to make the world a uniform, disciplined, perfect place. Whatever did not fit with his Aryan ideal was destroyed. Jews, homosexuals, gypsies, intellectuals, opponents, the disabled, Poles, Slavs were gassed, shot, brutalised and killed. Books were burned. Art was destroyed. Thought was outlawed and children were indoctrinated in the Hitler Youth. We fought a big war, it killed lots of people, and Hitler died. But that was not the end of fascism, because it had taken root in other places like Russia and China where people who claimed to be at the opposite end of the political spectrum behaved much the same as Adolf. And while some might think modern Nazis can be seen in far-Right groups rising in Greece and eastern Europe, the truth is they're in Africa, the Middle East and Afghanistan too, calling themselves something different. They burned ancient texts in Timbuktu. They militarised children in Iraq, the Phillippines, Sudan, Somalia, Thailand, and Yemen. They propagandise, they demonise those who do not fit in with their view, they kill and maim because human life is not as important to them as the promise their leaders make about a better world hereafter. It is wrong to call them Al Qaeda, because they don't all sign up. It is wrong to call them Islamists, because their actions have as much to do with Islam as having a bacon butty to knock out last night's hangover. They are fascists, pure and simple. The only thing they are scared of is freedom. The Prime Minister is visiting Algeria today, presumably to give them a stern talking to about how not to rescue hostages and get them on board with an international effort to root out all the terrorists they can find. Algeria's not on what you might call speaking terms with human rights, so it'll be interesting to see what flavour of jelly Dishface will be able to knit out of it. But he was entirely right when he told Parliament: "We are in the midst of a generational struggle against an ideology which is an extreme distortion of the Islamic faith, and which holds that mass murder and terror are not only acceptable but necessary. "We must tackle this poisonous thinking at home and abroad and resist the ideologues’ attempt to divide the world into a clash of civilisations." The trouble with that is you can't fight a generational struggle against an enemy capable of melting and reforming like a T-1000 when your army is the smallest it's been in about six generations. It's all very well saying we used to have lots of men with muskets and now it's a few lads with X-Box controls in Apache helicopter gunships, but they haven't stopped Mr Terrorist yet, have they? So what would? 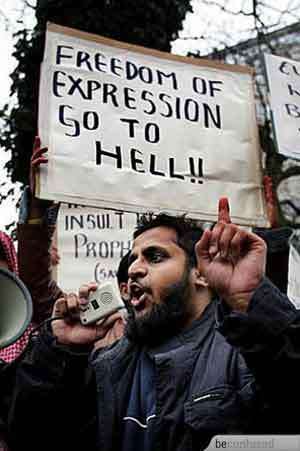 What would make the fascists who drape themselves in the Koran melt away and never return? Well, calling them fascists would be a start. The more they're referred to as people fighting for a faith the more they can persuade well-intentioned members of that religion to join up in sympathy, and the whole thing about faith is you can't prove it's wrong. It might seem like a simple PR move, but if we called them what they are - Nazis in a different guise, or Joe Stalin in a kaftan - Muslim nations whose leaders find it hard, politically, to side with the West would find it a lot easier to join the efforts to stamp them out. And after that, we have to be better than the fascists. We have to provide safe haven to people fleeing their regimes, we need to look after the disabled, not discriminate against gays or Jews, lay off the propaganda and save the books we are destroying every single day. Because of all the things that can be said to bring an end to war, from atom bombs to running out of cannon fodder, there is one which works better than all the others, and once the wars are over it's the same thing which keeps the peace: Freedom. No-one fights as long and as hard as someone whose freedom is being taken away. No faith in the world is aimed at stopping people going to school, or walking safely down the street. That's the battle that's being fought in Mali and everywhere nearby. That's what's happening in east London when people are stopped by militants near mosques and told they must behave differently in "a Muslim area". It's what Afghanistan should always have been about, and Iraq, and it's the fight people have been having since 1933 and earlier. If there was any point at all in a PR man becoming our Prime Minister, he has to rebrand the war on terror as a fight for freedom - freedom for everyone, whether they're Muslim, Christian, Jewish or can't-be-arsed, from daily terror, constant fear, and unreasoning hatred. Because if he doesn't do it now, it's going to take a lot of futile deaths and a massive bill - as well as hell of a lot more soldiers - for it to end up like that anyway. It's always best to fight with something the other guys don't understand.